The sole aim for this blog is to nourish my passion for cooking. Not a regular cook even a few months back , I have now become a very confident one . I enjoy to have friends and family at my flat and pamper them with anything I cook. All I have learnt about cooking is from my mom. So thanks to her. I will be writing mainly about Bengali food , but may add some of other types of dishes here and there. My posts will contain day to day foods that I cook at home, so you’ll find all those simple dishes from cauliflower to spicy fish in mustard sauce. Bengali cuisine had always been my favorite, starting from alu dum to any kind of fish curry , and from kasa mansher jhol to chatpata chutney. The exquisite romance of spices and vegetables make dishes all the more delicious. I always wished to share my recipes, and so I found blogging to be the best way to do so. I hope you all will be enjoying these dishes. I would love to get your comments, suggestions and acknowledgments to bengalicuisine@gmail.com. Disclaimer: All the recipes and photos are the sole property of Sudeshna Banerjee (https://bengalicuisine.wordpress.com/) unless otherwise indicated. If you want to publish any recipes that are mentioned her in this blog, then please give a trackback on you post. I would highly admire that. The pictures are all embedded with copyright notice so if you want to add the same photo then please mail me to the mail-id mentioned above for a fresh copy of teh same. Please mention my name or site link if you want to publish any pictures from my archive. Happy reading and happy cooking. Congratulations on your 1000 hits! It snot even two months and you did it. Now that calls for a flurry of posts! thank u so much, and sure there will b a flurry of posts to follow. 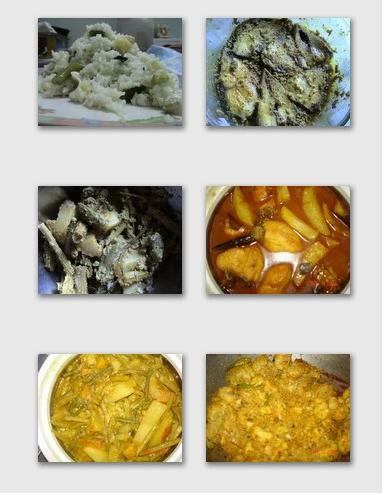 Thanks a lot…I always loved bengali dishes….I would definately try some of them. very nice collection of bengali recipes!!!!!!!!!!!!! Tomake Arun bolte paari…aamar nijer ekta bondhu aache…Arundathi Datta. Oke aamra Arun daaki. Aami bangali noy…kintu Kolkataye aami aamar jiboner kudi (20) bochor kaatiechi. Born and brought up in Kolkata. My parents still live there. Tomar bloger naam shune bhalo laglo…just stumbled upon it. Aami nije ekta blog start korechi…you can guess..”food”. Shara bishwo jaane ki Bangali maanei besh khava-dava ebong utkrishtho ranna jaane. 🙂 Thought I should comment. hi sudeshna, u have got a very nice blog.i love bengali sweet. will surely try out the dishes. This is Sindhura,thanks for your comments on my blog.This is regarding your query.I have searched for you mail id but unfortunately i was unable to find the same, so i am dropping here. You can send entries containing egg as ingredient. Hope to see you soon with enthusiastic participation. I am Hemali and tried out the Palak in Paneer bowl recipe. The Pic of it was so pretty that as I saw it I wanted to make it for the Valentines. It came out so good and was so delicious that my hubby was not ready to quit from eating it all. Thank you for posting that recipe on the blog really good!! Thank you so very much for trying out the recipe. It feels good to know what my readers think about it. Do come back again. You really have great & YUMMY recipes. I would like to take some and put it in my site if you allow me.